Could Verizon's bid to buy out Vodafone stake lead to a full takeover? 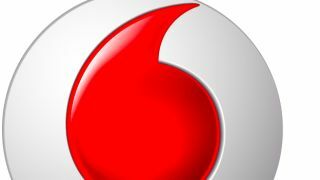 Could Vodafone soon be in US hands? Vodafone investors want more than the $100 billion (UK£77, AUD$117) reportedly on offer from Verizon Communications, to buy out its stake in their joint Verizon Wireless venture, according to reports. Speculation this week has suggested Verizon Communications wants to take full control of the US network Verizon Wireless, which UK-based Vodafone owns 45 per cent of. Now, according to a Reuters report on Saturday morning, Vodafone investors want Verizon to either up its bid to $120 billion or, alternatively, make an offer for a full takeover of the British network. One 'top 20' investor told the news agency: "I think ... $120 billion is the point where you think you've got a decent premium. I think that's reasonable and if they achieve that, I think the (Vodafone) shares go up." Full merger on the cards? It's little surprise that Vodafone stakeholders would be on the lookout for a better deal, considering its portion of Verizon Wireless is currently the company's most profitable asset. With its European networks not doing so well, sustaining those businesses may be difficult without the profits flooding in from the United States. This, according to one analyst, makes the prospect of a full takeover a little more likely. "Without wishing to be too disrespectful, (Vodafone is) sitting with a rather ugly set of assets once you lose the Verizon Wireless stake," said Ralph Brook-Fox, UK equities fund manager at Ignis Asset Management, told Reuters.